Proudly display the look of your Galaxy S8+, all the time knowing that it's protected by Otterbox Certified Drop+ Protection*. The scratch-resistant design of the Otterbox Symmetry Series Clear Case helps preserve your smartphone from everyday drops and dings. The one-piece case easily goes on and precisely follows the lines of your Galaxy S8+. Ultra-thin, but ultra-protective The last thing you want to do is add a lot of bulk to the sleek design of your Galaxy S8+. This Symmetry Series Clear case is so thin, you'll barely notice anything additional, other than how well the case goes with your smartphone. The design is so sleek, it easily slips into your pocket or purse. Raised screen bumper The raised and beveled edge rises just enough above the touchscreen to help protect it against direct drops and against being placed face-down on a surface. Scratch resistant The Symmetry Series Clear Case helps keep your Galaxy S8+ looking its best for a long time. *Otterbox offers a one-year warranty on this product. See manufacturer's website for details. SKU: 77-54726 Category: Cases. 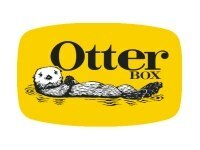 Brand: OtterBox, Sold by : Verizon Wireless Tags: easy to put on and take off Clear exterior is scratch resistant Raised edge helps protect the touchscreen Free Shipping available on all orders, one-piece design, Ultra-slim.